Hotel Nikolas in Santorini, is a creation of its owners’ passion to offer their guests unparalleled comfort and relaxation in a splendid environment full of colours and joyfulness. 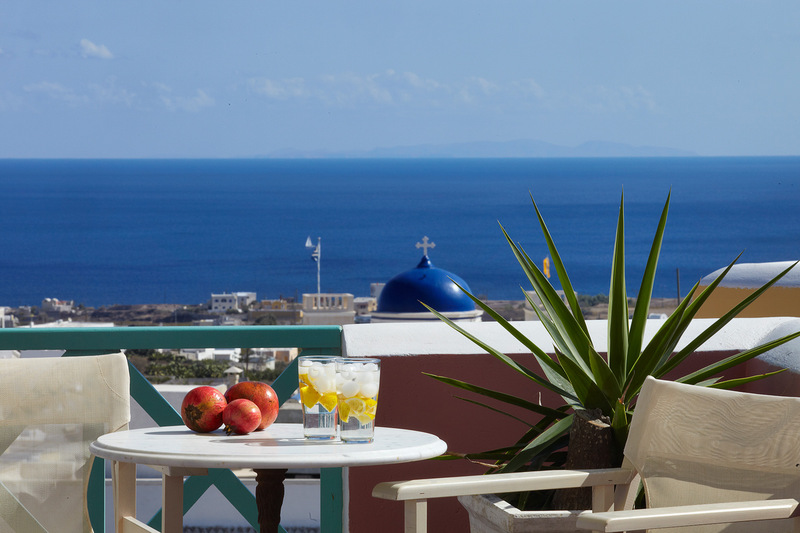 Recently built in the tranquil traditional village of Karterados, overlooking the Messaria plain and the deep blue of the Aegean Sea, Nikolas Hotel is the ideal place to combine relaxing holidays with the cosmopolitan life of Santorini. 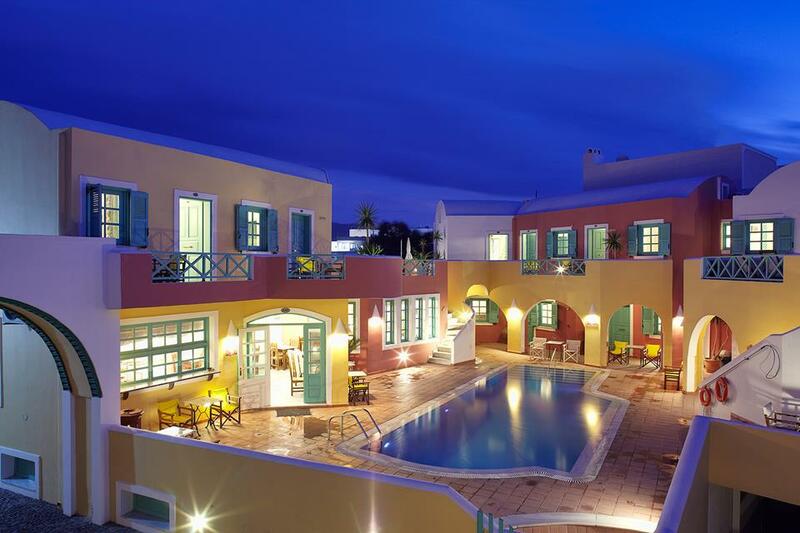 Nikolas Hotel benefits greatly from its proximity to Fira, the busy hub and capital town of Santorini, and serves as an excellent basis to explore the beauty and magic of Santorini (Thira). 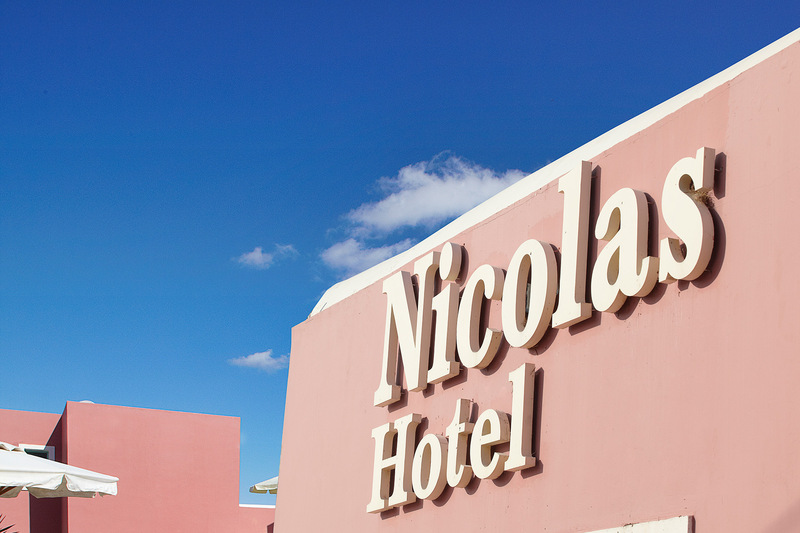 Hotel Nikolas is pleased to offer to its guests 31 specially designed rooms of high quality and taste. 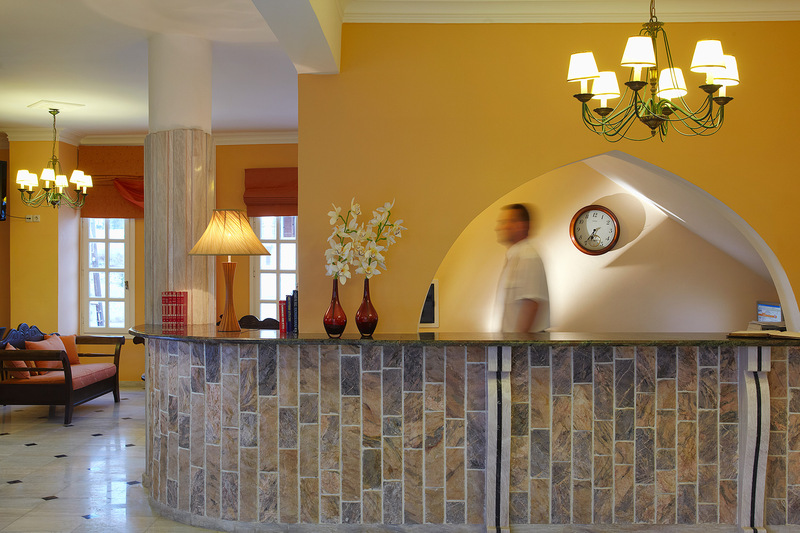 Most of the rooms are double but single, triple and quadruple rooms are also available. All rooms offer: air conditioning, satellite TV, fridge, telephone landline, radio, hair dryer, safe deposit box and private balconies and/or terraces. The rooms are cleaned daily, linens are changed every other day and a rich buffet breakfast is served daily in the breakfast room. 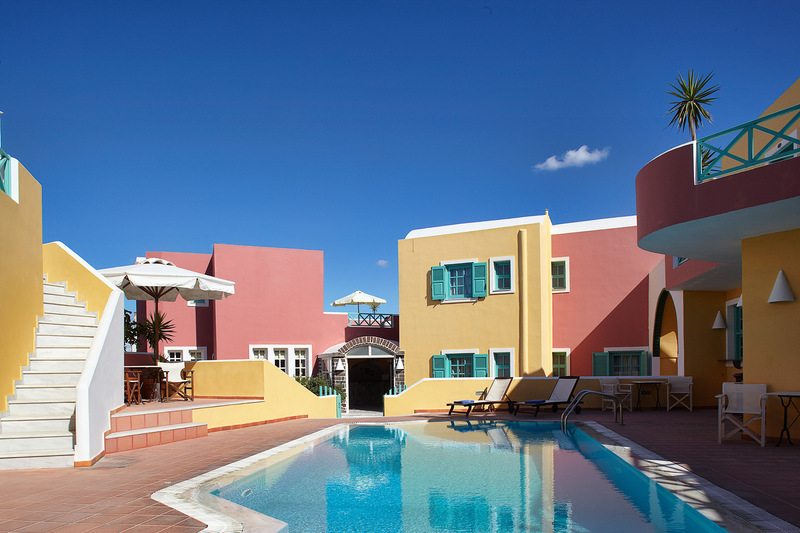 The hotel offers excellent facilities including: a gorgeous swimming pool with spacious terrace, sun beds, umbrellas and a bar, communal verandas and terraces equipped with umbrellas, private outdoors and underground parking space, breakfast area, snack bar, and shuttle service to and from the Santorini airport or port (on request).